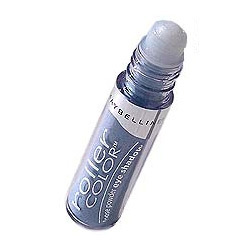 Bought this for easy access and shadow application, it works well but doesn't apply evenly.. I love the color..
Er...don't care for this. The shadows themselves are not terrible but it's so hard to get an even application with the rollerball thing. That is totally a gimmick. I would rather just buy a jarred pigment. Will not repurchase. Not the best for me. Only use it for when Im in a hurry. Wow this was so fun to use I bought gold and not only easy it great as eye shadow but I was a roman goddess for Halloween and I used it on my cheeks and on my chest it looked great and lasted all evening and there was no mess when I was applying it! it does not come out right, the eye shadow is always dry and the roller always sticks! I LOVE EYE SHADOW AND I THINK THIS IS GENIUS!!!!!!! !